The pons relay a variety impulses within the brain, and is located in the metencephalon. Just like the pons, the cerebellum could also be found there. The metencephalon then controls the skeletal muscle contraction. The distinct characteristic of the pons is its circular bulge which lies on the brain’s inferior side. It could be seen between the medulla oblongata and the midbrain. It is created in through tracts of white colored fiber in two principle directions. One, it transversely extends throughout the middle part of cerebellar peduncles. 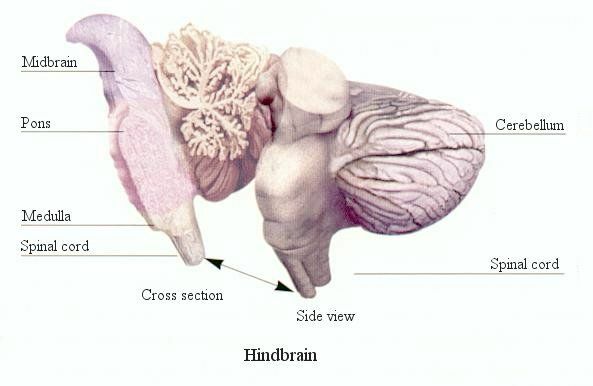 The surface then makes a connection with the cerebellum. The pons houses the cranial nerves which is responsible for producing various actions such as chewing and having sensation. It also controls a several number of eye and facial movements, the rate and depth of each breath, and also the taste bud’s sensory interpretation. It is responsible for the depth and rate of the breath because it houses the apneustic and the pneumotaxic. These are the respiratory centers that could be located in the brain.